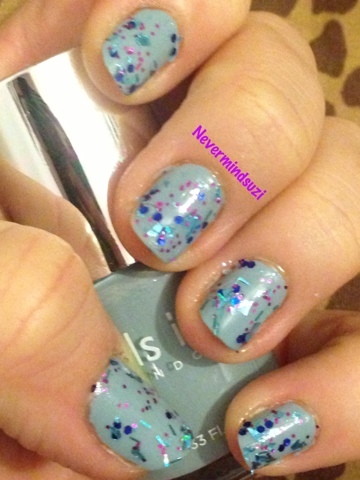 NOTD: Nails Inc Sheraton Street &amp; Models Own Freak Out! 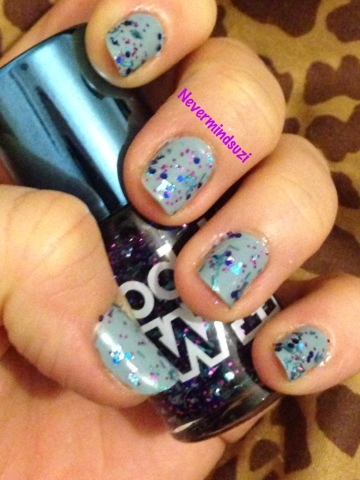 NOTD: Nails Inc Sheraton Street & Models Own Freak Out! I've got a pretty combo for you today. 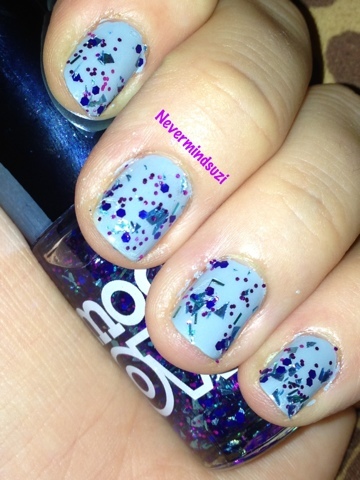 I used 1 coat of Nails Inc Sheraton Street (yes 1 coat!) a really opaque, smooth application with a pale blue finish. Then I topped this with 2 coats of Models Own Freak Out! from the Mirrorball Collection. 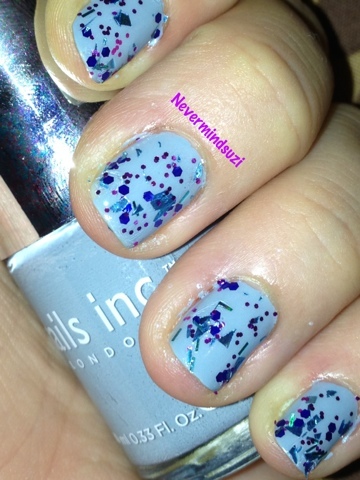 This is a clear base with purple micro-glitters, dark blue hex's, aqua blue foils and aqua blue bar glitters. The Models Own smelt a bit weird even as nail polish goes but I'll forgive the smell for the fab look I've got here. Have you tried any of the Mirrorballs?